Life is a roller-coaster and there bound to be highs and lows in each and every one of us. It ain’t no exception to me and I lead a life accepting things as they were. 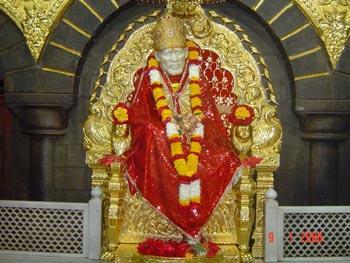 Being a ardent devotee of Sai Baba, each year it is a tradition to take darshan of Baba during Shiv ratri. We (family) traveled to Shirdi in train or bus as per convenience. Ideas for change #1 – No one knows to drive a car at Home! Ideas for change #2 – I started learning to drive in the new car! Ideas for change #3 – I am simultaneously a coach to mom! Ideas for change #4 – Road trip to Shirdi! It is the season before Shivratri and our great minds assemble for chalking out a plan to visit Shirdi. Mom is the bravest person I can ever come across and so is the plan. With a confidence percentage while taking reverse being around one half of 1 sigma (68.28/2)%, the mission is approved by the board! Alright Shirdi is around roughly 0.8K kms from home which makes it 1.6K kms on a round trip scenario. Did I mention about the plan? I mentioned about its approval I reckon. We intend to visit Nashik, its surrounding places of interest and relatives and some places in Pune, some in Kolhapur, some in Belgaum and so on…. My estimate of the total round trip may settle around the 2.23K kms mark. Does anyone have a GPS! Click here for wiki details of the theory! Is there a relation between self confidence and confidence on others? The road to salvation is a long journey in our lives and one can expect to learn more as time goes by. Without any formal lessons to drive and without any contingency plan, the road trip begins on a early summer morning. Have I mentioned that I have never driven a vehicle in dark until now! My happiness knew no boundaries, as I lay back at home that night, I still am in amusement. For I was the one behind the wheels entire journey and somewhere in mind a haunting took place. How can I forget, even the most professional rider couldn’t have made a scratch free trip as did WE. The blessings of Baba took us to his feet and the same blessings taught us that life is all not about winning, loosing, decision making and blah blah,,, get out and feel the faith in him.Feel the difference and be the change you deserve to be! there are many more instances of Baba’s grace in this trip? Baba’s kindness on the bhakta flows like sun’s rays on the earth without any expectation from the otherside. its for all without any classification of gender, religion, caste or creed. only thing that is required is the right kind of catalyst to absorb it. and that is, is shradda and saburi. Miracles do happen all the time- totally agree! When we open our eyes and hearts to the great beauty and simple gifts in life, we could all say that just being alive today is a miracle in itself. Congrats on the driving. Its one of the best skills you’ll ever learn. Driving equals freedom!